Medellin-based banking giant Bancolombia announced November 7 that its third quarter (3Q) 2018 net income rose 20.5% year-on-year, to COP$543 billion (US$172 million). However, this positive year-on-year result in 3Q 2018 was offset by an 8.2% decline in net income compared to 2Q 2018. “Gross loans [in 3Q 2018] grew by 4.0% when compared to 3Q 2017 and 0.9% during the quarter. This annual growth shows moderation in the credit demand in Colombia,” according to Bancolombia. Colombian peso-denominated loans grew 5.8% in 3Q 2018 versus 3Q 2017. “Net interest income was COP$2.57 trillion [US$813 million] for 3Q 2018, increasing by 0.6% when compared to 3Q 2017. This positive performance is mainly explained by the growth in the loan book [as] net interest income increased by 0.9% during the [latest] quarter,” according to the company. “The annualized net interest margin for the quarter was 5.8%. The margin decreased by 10 basis points during the quarter and registered the same number when compared to 3Q 2017, mainly affected by the reductions in the reference rate in Colombia that were reflected in the repricing of the loan portfolio. “Provision charges for the quarter were COP$1.0 trillion [US$316 million] and the coverage ratio for 90-day past due loans was 160.7%. Provision charges increased by 4.3% when compared to 3Q 2017 and by 3.8% compared to 2Q 2018. “These provisions allow us to maintain a solid coverage ratio amid a challenging environment [even as] new past-due loans totaled COP$847 billion [US$267 million] for the quarter. “Net fees were COP$631 billion [US$199 million] and increased by 4.1% compared to 3Q 2017. This growth was mainly driven by an increase in fees related to credit and debit cards and trust services, [although] net fees decreased by 2.1% during the quarter,” the bank added. Bancolombia “maintains a strong balance sheet supported by an adequate level of loan loss reserves,” according to the company. Allowances for the principal for loan losses were 5.7% of total loans at the end of 3Q 2018, increasing as compared to 2Q 2018, the company added. Medellin-based multinational electric power transmission and highway concessionaire ISA announced November 7 that its third quarter (3Q) 2018 net income rose 30.2% year-on-year, to COP$413 billion (US$131 million). Gross revenues rose 8.3% year-on-year, to COP$1.9 trillion (US$605 million), with power transmission revenues showing the biggest yearly gain, by 16.7%, according to the company. Earnings before interest, taxes, depreciation and amortization (EBITDA) hit COP$1.4 trillion (US$446 million), up 15% year-on-year, while EBITDA margin came-in at a hefty 71.7%, according to ISA. The positive results don’t include any extra income from a one-time-only power-transmission tariff “regularization” program in Brazil last year, but do include power-tariff increases this year. Revenues improved this year mainly thanks to recent entry-into-operation of power-transmission and highway-concession operations in Peru, power-transmission expansions in Colombia and Chile (since September 2017), and the incorporation of results from recently acquired Brazilian and Chilean power operations. As for investments, ISA so far this year has invested COP$1.9 trillion (US$605 million) in infrastructure expansions and upgrades, according to the company. Colombia revenues rose 8.4% year-on-year, to COP$447 billion (US$142 million), while Chile revenues rose 12.8%; Brazil revenues rose 12% and Peru operations declined 7.6%, according to the company. Power transmision revenues in Colombia rose mainly because of a boost in national power tariffs, favorable COP/US dollar exchange rates, plus a new transformer connection, the company added. Medellin-based electric-power giant Celsia announced November 6 that its third quarter (3Q) 2018 net profit dropped 31% year-on-year, to COP$64 billion (US$20 million). However, nine-months 2018 net profits so far have risen 35% year-on-year, to COP$243 billion (US$77 million), according to Celsia. Consolidated revenues for 3Q 2018 rose 8.5% year-on-year, to COP$852 billion (US$271 million), with Colombian revenues rising 18%, to COP$698 billion (US$222 million). Earnings before interest, taxes, depreciation and amortization fell 12% year-on-year in 3Q 2018, to COP$259 billion (US$82 million), but nine-months 2018 consolidated EBITDA rose 0.5%, to COP$818 billion (US$260 million). “In Colombia, accumulated energy demand during the [latest] quarter rose 4% with respect to the same period of 2017. The regulated market demand grew at a rate of 3% and the increase exceeded 6% in the unregulated market,” according to Celsia. While Colombian average energy prices fell 4% year-on-year in 3Q 2018, the average marginal cost of energy in Panama was US$73 per MW-hour, 98% higher than in 3Q 2017, according to Celsia. Commenting on the results, Celsia president Ricardo Sierra emphasized that the company “has a great emphasis on the development of renewable energies . . . The wind and solar projects that we have will lead us to add, over the next five years, 560-megawatts [MW] of renewable power in addition to the current 77-MW,” he said. Four of the wind-power generation projects are in the Guajira region (northern Colombia), totaling 330-MW. These power projects already won environmental licenses and grid-connection approvals, according to Celsia. In solar projects, Celsia Central America acquired in Panama its first photovoltaic plant, incorporating 33,000 solar panels, with a net capacity of 9.9-MW and a transmission line of 2.8 kilometers, according to the company. “In Colombia, the Celsia Solar Bolívar photovoltaic farm is about to enter into operation. Located in Santa Rosa de Lima in Bolívar, Colombia, with a capacity of 8.06-MW and an estimated generation of 15,542-MW-hours per year, it will deliver the equivalent of the energy consumed by 7,400 households,” according to Celsia. Medellin-based electric power giant EPM on November 4 heralded the start-up of the engineered spillway over the giant “Hidroituango” hydroelectric project in Antioquia (see photo, above). That start-up soon will allow EPM to close a makeshift diversion tunnel through the dam, ensure steady, safe, adequate water-flow of the Cauca River downstream of the dam, and enable repairs to begin in the machine room -- temporarily used to evacuate water following a collapse of the main diversion tunnel last April. The start-up also means that Medellin eventually would start to recover billions of dollars of future revenues expected to be generated by Hidroituango, as city-owned EPM supplies about 25% of the city’s annual revenues. “With the start-up of the spillway, a new milestone is reached in compliance with the schedule set for 2021 for the recovery of the project,” according to EPM, which also posted a video of the initial water-flow through the spillway (see: https://www.facebook.com/epmestamosahi/videos/2116900111960032/?fref=ts). The reservoir behind the dam rose to 405 meters above sea level on the afternoon of Sunday, November 4, enabling safe evacuation of Cauca River water through the spillway. The spillway has a horizontal length of 405 meters and includes four radial gates, 15.4 meters wide by 19.5 meters high. Opening more gates enables controlled increase of water-flow through the spillway. At the bottom of the structure is a settlement well, enabling smooth, continuous flow of the Cauca River downstream of the dam. The left channel of the spillway was the first put into operation on November 4, initially enabling evacuation of 200 cubic meters-per-second of Cauca River water. “These 200 cubic meters-per-second are now added to the 750 cubic meters-per-second of water flowing through the machine house, for a total of 950 cubic meters-per-second on average,” according to EPM. “This ensures an ‘ecological flow,’ or what’s necessary for a normal flow of the Cauca River, which is 450 cubic meters-per-second -- and this also guarantees the safety of the communities that live downstream of the project,” according to EPM. Medellin-based textile giant Fabricato on November 2 posted a third quarter (3Q) net loss of COP$9 billion (US$2.8 million), an improvement over the COP$19 billion (US$5.9 million) net loss in 3Q 2017. Earnings before interest, taxes, depreciation and amortization (EBITDA) also improved year-on-year, with a positive COP$909 million (US$285,000) in 3Q 2018 versus a COP$6 billion (US$1.9 million) net EBITDA loss in 3Q 2017. Sales also rose 13.6% year-on-year, to COP$96 billion (US$30 million), from COP$84.9 billion (US$26.6 million) in 3Q 2017. As for nine-months (January through September) 2018 results, Fabricato’s net loss rose to COP$28 billion (US$8.8 million) versus a net loss of COP$13 billion (US$4 million) in nine-months 2017. However, EBITDA improved to a positive COP$5.6 billion (US$1.7 million) versus a negative COP$1.5 billion (US$471 million) in nine-months 2017. Commenting on the latest results, Fabricato pointed out that “the third quarter of 2018 continued presenting the trend of moderate recovery of the [Colombian] economy, perceived since the beginning of this year. “Some indicators such as controlled inflation, the low basic interest rate and the price of oil above US$80 per barrel allow us to believe that this scenario will remain positive, which generates a favorable environment for the country's economic activity. “In relation to the textile sector, a resumption of the natural business cycle is perceived, that is, an increase in sales was noted in the third quarter of this year, a sign that the garment industry is preparing for a higher volume of sales for the end of the year. “The retail sale of garments, accumulated to September 2018, indicated an estimated growth of 5% [year-on-year], which should reflect a resumption of the garment production sector and consequently of the textile sector. “However, what’s important to note in this case is the increase in the imports of garments made for the large retail chains, which will surely reduce the transfer of the positive impact of their sales to the Colombian productive sector. “When the new [Colombian national] government took office [this year], hopes were renewed regarding the fight against smuggling and informality, the main problems of the textile and clothing sector in Colombia. As for Fabricato’s real-estate business ventures, the company reported that its “Ciudad Fabricato” project continues to generate more revenues, while the former “Riotex” factory in Rionegro has achieved 55% leasing of available space to commercial third parties. “In the case of full occupation [of the former Riotex factory], the leases of the industrial park should generate annual revenues between COP$5.5 billion [US$1.7 million] and COP$6 billion [US$1.9 million]. To this value should be added what will be received for the services available to the tenants, such as water and steam,” Fabricato added. Medellin-based multinational power and utilities giant EPM announced October 31 that its nine-months 2018 net profits rose 12% year-on-year, to COP$1.7 trillion (US$528 million), while earnings before interest, taxes, depreciation and amortization (EBITDA) also rose 12%, to COP$3.9 trillion (US$1.2 billion). So far this year, EPM has spent COP$251 billion (US$78 million) in compensation costs to cover problems arising from a diversion-tunnel collapse in the US$5 billion, 2.4-gigawatt Hidroituango hydroelectric project. But this hasn’t stopped EPM from generating profits, general manager Jorge Londoño de la Cuesta said. “As complicated as it has been for our company to address the contingency in the Hidroituango hydroelectric project, thanks to our EPM people and their commitment to the quality of life of the community and the development of the country, we have achieved growth in the group’s profits,” Londoño added. The city of Medellín – EPM’s sole shareholder -- has netted COP$806 billion (US$250 million) in profit transfers so far this year, while EPM’s gross revenues rose 10% year-on-year, to COP$12 trillion (US$3.7 billion), the company noted. EPM’s main holding company contributed 49% to earnings, foreign subsidiaries 33%, national energy subsidiaries 16%, and national water subsidiaries 2%, according to the company. A hike in Colombian national power sales this year mainly explains the boost in revenues and profits, according to the company. Meanwhile, EPM so far this year has invested COP$2.3 trillion (US$714 million) in infrastructure, 84% of which has been in Colombia, the company added. The Medellin City Council early this morning (October 30) voted 16-5 to approve EPM’s sale of an estimated COP$4 billion (US$1.25 billion) worth of non-strategic assets in order to fill a gaping fiscal hole left by problems with its under-construction “Hidroituango” hydroelectric dam here in Antioquia. The vote followed dozens of public hearings, City Council subcommittee hearings, briefings with local, departmental and national politicians, regulatory agencies, interest groups, debt-funding sources and Wall Street analysts, plus massive public information campaigns. The deal ultimately overcame objections from some Council members arguing that EPM would be better-off selling its half-interest in the telecom/internet company TigoUne rather than its 10% stake in Colombia power generator ISA. EPM estimates that it should be able to complete the sales of all these assets by third-quarter 2019. Revenues from the sales will help EPM maintain its annual payments to the city of Medellin, its sole shareholder, as well as maintain its crucial investments in power, water and sewer infrastructures. The approval also means EPM will sell its stakes in Chilean power and water companies and its small stakes in a handful of Colombian companies including Gas Natural de Oriente, Terpel, BBVA, Acerias Paz del Rio and others. EPM also plans to slash some COP$1 billion (US$313 million) from operating costs and delay COP$2 billion (US$626 million) in investments in order to recoup an estimated COP$7 billion (US$2.2 billion) in lost electricity sales, repair costs and compensation costs from the three-year-delay in Hidroituango’s start-up. In a question-and-answer document provided to the City Council and the public, EPM explained the rationale behind its sale decisions. Asked why it would sell its 10% stake in ISA, “if it is a profitable asset, even above other less strategic investments,” EPM stated: “As it is a non-controlling minority stake of 10.17%, EPM has no interference in the major decisions of ISA. Therefore, this investment does not contribute EBITDA [earnings before interest, taxes, depreciation and amortization] or income and its sale would not affect the covenants of the credit agreements and EPM bonds. On another crucial front, EPM reported that the Cauca River is just about to pass over the engineered spillway at the Hidroituango power project, which will enable closure of the tunnel to the mechanical room -- that room temporarily being used as an emergency diversion tunnel ever since the main diversion tunnel collapsed last April. Once the mechanical room has been cleared of water, EPM can begin repairs to the project, hopefully leading to start-up of power production no later than 2021. Medellin-based multinational foods giant Nutresa reported October 26 that its third quarter (3Q) 2018 net profit rose 19% year-on-year, to COP$386 billion (US$121 million). “This growth is the result of a balanced equation that includes rising sales, efficiency in purchase of basic materials, productivity programs, lower growth in operating expenses and a continuing decline in financing costs,” according to Nutresa. Consolidated sales of Grupo Nutresa grew by 3.4% year-on-year, hitting COP$6.6 trillion (US$2.07 billion) while earnings before interest, taxes, depreciation and amortization (EBITDA) rose 5.1% year-on-year, to COP$841 billion (US$264 million). EBITDA margin was steady at 12.7%. Sales in Colombia rose 4.1%, to COP$4.2 trillion (USS$1.3 billion) thanks to a volume hike of 2.3% plus a price hike of 1.5%. Sales abroad also rose 4%, to US$829.8 million. “Innovation continues to be an important driver of growth for the Group -- and sales resulting from this concept represent 22.1% of the total,” according to Nutresa. Gross profit rose 5.2% year-on-year, to COP$3.0 trillion (US$943 million), “the result of the increase in sales accompanied by a strategy to improve productivity,” according to the company. “Operating income amounted to COP$634 billion [US$199 million], equivalent to an operating margin of 9.6%, and representing an improvement of 4.7% compared to the same period of 2017. This result is a consequence of the efficiencies in sales, administration and production during the period. Net post-operative expenses fell 46% year-on-year, to COP$100.7 billion (US$31.6 million), “mainly explained by the significant reduction in financial expenses, resulting from lower indebtedness, and better interest rates in the main markets where the Group operates,” according to Nutresa. In another sign of growing efforts to promote environmental conservation and related eco-oriented tourism here, the Medellin Mayor’s Office on October 26 announced the rediscovery of a rare hummingbird in the El Volador nature reserve inside the city. 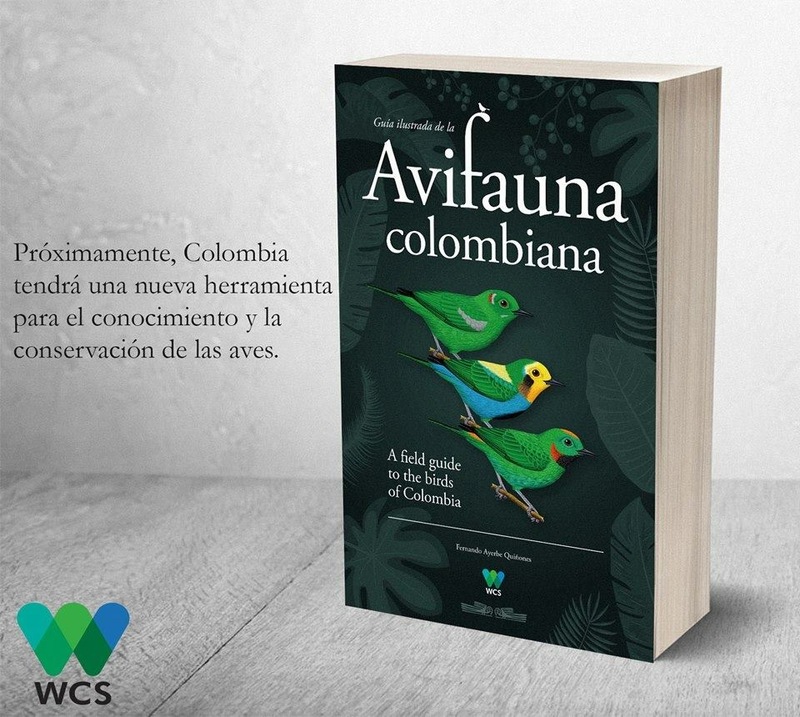 “After 15 years, the ‘Ruby Topaz’ hummingbird [Chrysolampis mosquitus] returned to the Cerro El Volador regional nature park,” the Mayor’s Office announced..
“According to the Biodiversity Information System, 6.4% of Colombia's biodiversity is found in Medellín. The Mayor’s Office has approximately COP$1 billion [US$314,000] to invest in environmental management” at the city’s iconic hilltop reserves including El Volador and Cerro Nutibara, the office noted. This bird “inhabited the Aburrá Valley until about 15 years ago, but since then there has been no record of it. Thanks to the actions of the Mayor’s Office of Medellín in the [hilltop reserves], it has been observed again in the Cerro El Volador Regional Natural Park, where, in 2018, a total of 106 other species have been spotted. “The Municipal Administration carries out integral interventions that contribute to the improvement of the air quality and to the preservation of the environment in the hilltop reserves. These include, among others, the sowing of gardens that have allowed the return of butterflies and bees -- and now of this species of hummingbird, which many ornithologists and bird lovers will want to appreciate and enjoy. “Also during 2018, five new species of wild animals have been reported that returned to the forests, reserves and streams of Medellin,” the office noted. Cemex LatAm Holdings reported October 25 that its Colombia division saw third quarter (3Q) 2018 sales dip 5% year-on-year, to US$134 million, but operating earnings before interest, taxes, depreciation and amortization (EBITDA) rose 11%, to US$26 million. Gross profit also rose 11% year-on-year in Colombia, to US$53 million, while operating margin rose 15.9% year-on-year, hitting 19.4%, according to the company. Meanwhile, for the first nine months of 2018, Colombian sales fell 8% year-on-year, while operating EBITDA here fell 12%, according to the company. Volume sales of grey cement fell 8% year-on-year in 3Q 2018, while concrete sales fell 11% and sales of aggregates also fell 12% during the latest quarter here, according to the company. Despite the year-on-year declines, “cement volumes increased 7% sequentially during 3Q 2018, reflecting the acceleration of industry demand after the [Colombian presidential] elections,” according to the company. Meanwhile, construction permits for Colombia’s social-housing market have increased by double-digits. This should boost demand for cement, the company noted. “The new government recently announced the pillars of its housing strategy in the next four years, with a goal building 1 million new housing units in this period, or approximately 250,000 per year, including a new lease-with-purchase option and a new home-improvement program, along with other initiatives,” Cemex noted. As for Colombia’s highway-infrastructure-building sector, “we continue shipping our products to several ‘4G’ [fourth-generation highway] projects that include the ‘Mar 1’ highway [in Antioquia], the Magdalena 2 highway, the Bucaramanga-Barranca-Yondó highway and the Bucaramanga-Pamplona highway,” according to Cemex. “We estimate that 4G projects will demand 430,000 cubic meters [of cement] in total for 2018, of which we already have 130,000 cubic meters [in market share] and we expect to supply approximately 30,000 cubic meters more during 4Q 2018. “We expect the infrastructure sector to increase by double digits during 4Q 2018; our volumes should continue to be supported by projects under execution,” the company added.